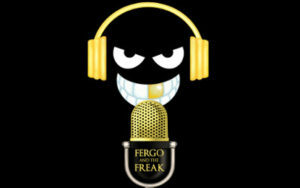 League Freak – Covering The NRL, Super League And Rugby League World Wide – LeagueFreak.com – A Look At The Toronto Wolfpack National League One Club. Will It Work? As a rabid Rugby League expansionist I was very interested in news that came out this week that the Chairman of the Canadian Rugby League Eric Perez would lead a bid to have a Toronto based club play in the RFL’s National League One. The team will be called the Toronto Wolfpack. 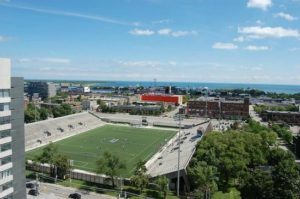 They will be based at Lamport Stadium which holds about 9,000 people and looks like a nice little ground. They will begin playing matches in March 2017, playing 11 games at home, and 11 games away. The club announced that former Leigh coach Paul Rowley will be the clubs fist head coach, and that Brian Noble would be the Director of Rugby. The club will hold open trials for players across a number of north American cities from August, and is aiming to have 50% of its playing roster made up of north American players with the rest being imports from Britain. The National League One competition is two levels below Super League. It has teams from random locations across England, Wales, and France involved, and you can see where the RFL is trying to establish the competition as a stepping stone for expansion clubs to gain a footing and work there way up through the various competitions with an eye on one day playing in Super League. Now, it must be noted that the Canadian Rugby League itself has stated that they are not involved in this bid. I would suggest that this is a good thing. It means the game in Canada isn’t looking to throw all its eggs into one basket. If this team were to fall over, the Canadian Rugby League would not be left to pick up the pieces….hopefully! I find it difficult to see how this would work over the long term. Travel wise I don’t see any problems in terms of physically being able to get teams to play games over such a great distance. Having a Canadian team in the competition would be fantastic. I personally would rather see Canada link up with the United States Rugby League and form some sort of competition between the clubs sides in both nations. I think that is a more logical step forward for Canada and they could both work towards building a self sustaining competition rather than having to rely on the good graces of the RFL. The big obstacle of course for this teams long term success is money. I just can not see how a part time squad of semi professional players could possibly generate enough interest, and therefore money, to underwrite all of the travel costs involved, which this bid team has said they are willing to do. I also worry about any developing nation linking up with the RFL in any capacity. The RFL tends to have a way of stalling expansion and the development of national teams. You find that with good intentions a lot of under-qualified people who aren’t very good at training, coaching, or running clubs get involved in these things and before you know it you have a terrible team in an expansion area being run by people who don’t really know what they are doing. Linking up with the RFL can change the standards of a growing Rugby League nation, and not for the better. I tend to believe that even French Rugby League is worse off for having linked up with the RFL, taking on board influences from Great Britain, and it has stalled their development as a nation as a result. I don’t want to see something similar happen in Canada, where a nice little scene has been growing and things are starting to gather momentum as the country looks to works its way up the international Rugby League ladder with an eye on World Cup competitions and being a self sustaining entity in the games landscape. How a National League One club would affect that progression is anyone’s guess. Personally, knowing Rugby League’s history with this sort of thing, I think it is fraught with danger. Seeing that Brian Noble is the Director Of Rugby horrifies me! Outside of his involvement with a Bradford Bulls, a team that simply outspend everyone else to win titles, Noble has been an absolute disaster at Wigan, the Celtic Crusaders, and the Salford Red Devils. Every single club got worse when he arrives, and were better as soon as he left. This is the problem the Toronto Wolfpack will need to avoid. There will be a whole lot of people who will just see the new club as an easy money grab. People who are simply not up to the job. Players, coaches, trainers, marketing types, they will all say the right things and talk a good game only to let the Wolfpack down. It has happened time and time again. In my opinion, the less influence the Wolfpack has from the RFL and anyone involved in British Rugby League, the better! The Toronto Wolfpack face a real uphill battle just to survive. I hope they turn into an outstanding success story for the game. I hope in ten years time they are the pride of Rugby League and we all look to them as an example of what Rugby League can do when it does things right. I can’t help but hold grave fears for them just based on what I’ve seen and the names that are involved, and anyone that has watched the disasters in Wales, Gateshead, London, Paris and even in Rugby Leagues heartland like Wakefield, and Bradford knows what I’m talking about. 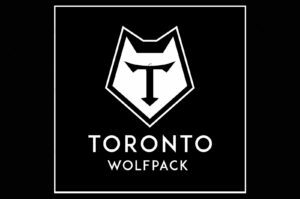 If the Wolfpack and shun the hangers on and losers that will flock to them, and make this club a truly north American club that relies on home grown talent and who grows its own culture rather than importing one from Great Britain, I think the club can be a success. It will take a lot of time, but I support the Toronto Wolfpack. Lets hope they are a great club that Rugby League can be very proud of! Wishing Kieran Foran All The Best As I Think About Player Welfare How Will Mitchell Pearce Approach His NRL Return?